What is better on a hot summer day than a nice cool, crisp salad? There is a bit of mayo in this however, so observe food safety rules. Don’t serve out in the sun or keep it out in the heat longer than an hour. Refrigerate until serving or put the bowl on ice for extended time. We don’t want sick guests now, do we? A change from the boring old green mixed salad, this colorful salad is high on heart healthy veggies, nuts and curry. Boil a pot of water. 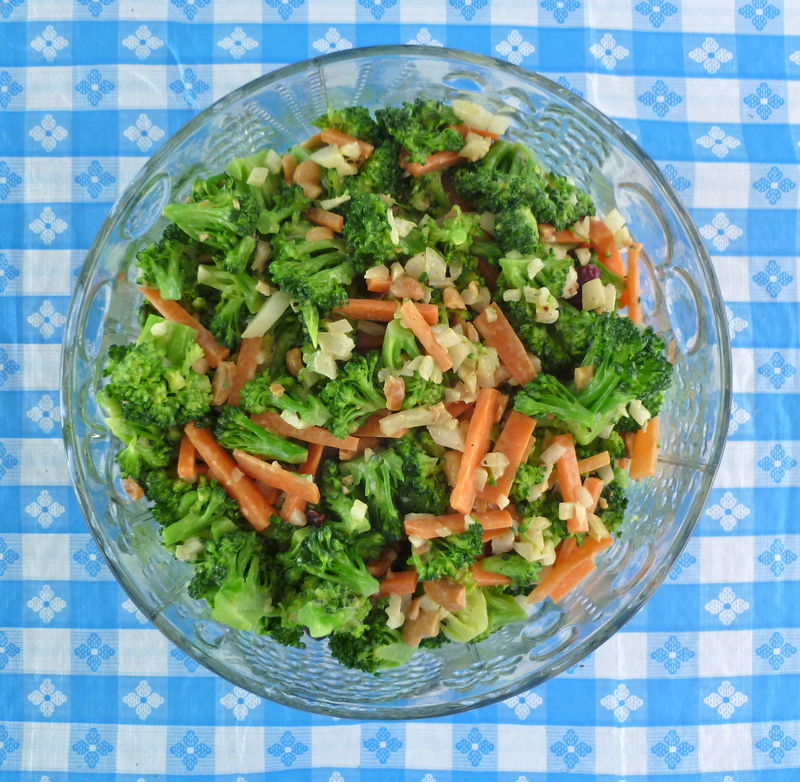 Throw the broccoli and carrots into the boiling water for 30 seconds and drain immediately. Allow to cool. When cool, put the vegetables into a large bowl. Add the other ingredients and toss to coat. Adjust curry, salt and pepper to your liking. Serves 8 as a side dish or 4 for a main vegetarian course.